Windows Registry is the core of every windows operating systems, which is a hierarchical database that stores configuration settings and options on Microsoft Windows operating systems. It contains settings for low-level operating system components as well as the applications running on the platform: the kernel, device drivers, services, SAM, user interface and third party applications all make use of the Registry. One of the reason why our computer becomes slower and less responsive with time is that as we constantly use, install and remove different applications the Windows Registry becomes fragmented and contains junk information which ultimately leads to a computer with slow performance. So, we must regularly keep the registry free of junk information, errors and de-fragmented. Free Windows Registry Optimizer is the solution for you to keep your windows registry at optimum condition. Here is the short description of its features. Free Windows Registry Optimizer Application offers easy-to-use optimization tools to speed up and improve the stability of your Windows 7, Windows Vista, or Windows XP PC. Regardless of your level of expertise, Free Windows Registry Optimizer Application safely cleans, repairs, and optimizes the registry and automatically backs up changes for future recovery. Now includes essential tools to fix Windows security loopholes. Permanently erase your Internet activity, personal files, and free space to keep your information away from prying eyes. 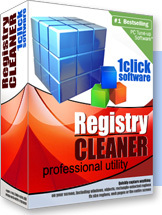 Download and install Free Windows Registry Optimizer App. Here is the link to the software Free Windows Registry Optimizer Application. And there's also a good news to my readers. If you also create a review in any blog/forum/twitter/facebook, etc of this software with above link then you can also contact isabella.white@digeus.com with the link to your blog/forum/twitter/facebook, etc where you've put the link and in return they will provide you free license to the software.